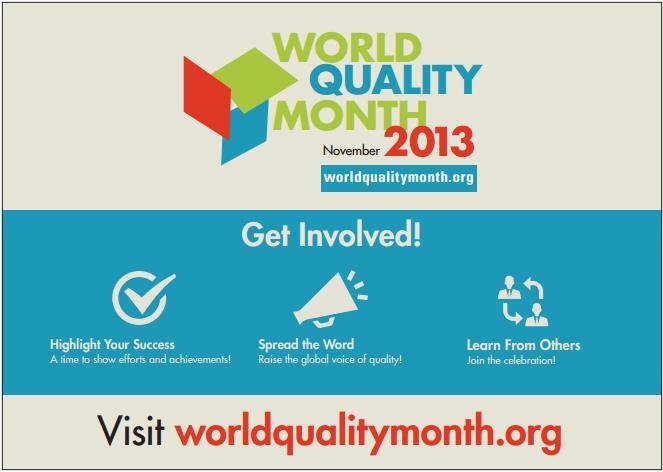 Join the Global Quality Community in celebrating World Quality Month in November 2013! Now in its fourth year, World Quality Month provides a platform for acknowledging the efforts and accomplishments of the Global Quality Community. This is a time to celebrate—a time to showcase the advancements and valuable quality contributions in businesses, communities, and institutions. The purpose of World Quality Month is to promote the use of quality tools in businesses and communities. Quality tools, such as flowcharts and checklists, reduce mistakes and help produce superior products. Quality principles could reduce headline-making errors, like food safety, toy recalls, and financial disruptions. World Quality Month calls on people who use quality tools to share their knowledge by submitting their stories to illustrate the value of quality principles. Chartered Quality Institute celebrates World Quality Day each year in November with activities and events to promote quality around the world. Union of Japanese Scientists and Engineers (JUSE) has been celebrating World Quality Month in Japan since 1960 by organizing events in collaboration with Japanese Standards Association (JSA), Japanese Chamber of Commerce and Industry (JCCI), Nippon Hoso Kyokai (NHK), The Japanese Society for Quality Control (JSQC), The Japan Productivity Center (JPC), JCA, Quality Engineering Society (QES), QC, Keidanren. Many organizations in Europe have marked "Quality Week" for 20 years, including European Organization for Quality (EOQ), World Alliance for Quality (WAQ), Vlaams Centrum voor Kwaliteitszorg (VCK). 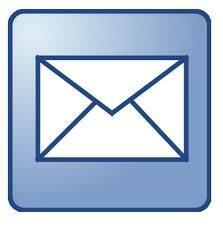 In the 1980s and 1990s ASQ played a leadership role in establishing and conducting National Quality Month in the USA. In the USA and Canada, Quality Month (October) started in 1988. National Quality Month (NQM) is a public awareness campaign that encourages business, industry, government, and academia to focus on the strategic importance of quality and continuous improvement. The purpose of "World Quality Day" is to promote awareness of quality around the world and to encourage individuals' development and organizations' prosperity. First promulgated by the United Nations in 1990, World Quality Day aims to raise international awareness of the important role quality plays in ensuring nations' prosperity. Now it is celebrated annually on the second Thursday of November. Organized by the European Organization for Quality (EOQ), The European Quality Week is an annual focus for campaigns of public awareness, promotion and demonstration of the advantages and importance of quality to competitiveness across Europe. It takes place in November during the week that includes the second Thursday of the month - World Quality Day. In 2008, the Czech Society for Quality launched "The Quality Manager of the Year" competition in connection with the international "European Quality Leader" competition proclaimed by the European Organization for Quality (EOQ). Results are announced annually in November within the framework of the Quality Month and European Quality Week in the Czech Republic. So this November get involved. Raise your voice for quality. Make a point of it. I bet you’ll enjoy it. And when December 1 rolls around, you don’t have to stop. Speaking up for the importance of quality is our daily responsibility. The biggest barrier quality faces is making people understand that excellence just doesn't happen. Excellence isn't good intent. Through quality, excellence is available to everyone.